Basically, when you delete any files or folders from you computer, they gets transferred into recycle bin temporarily. 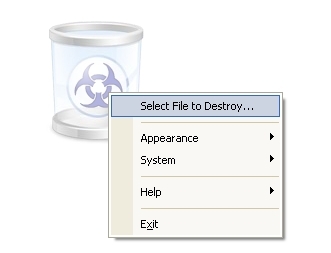 To remove them from recycle bin, you have to select option such as “remove files immediately when deleted” or you have to use the “Shift-Del” key combination. You get relaxed after removing all of your sensitive data when you make your recycle bin totally empty. You are WRONG! When you clear your recycle bin wholly then doesn’t means that the data is removed permanently. Temporarily, the system moves all the files and tends to place them into the hidden folder and after that it renames all the files. All such files and folders are stored into the hidden index file named as INFO2. These files obviously could not be recovered by the Windows OS still the contents remains in the hard drive. Only, they can be completely removed when the particular part of the disk space occupied by then gets overwritten with some other files. If you need to delete some of the highly personal and confidential files, it will be better to use one of the safe deletion programs like Freeraser. Freeraser application removes files completely fro your computer system. This tool is quite different from other deletion tools. Freeraser is absolutely free to use and you select either for portable/standalone or standard installation. If you use some f the portable devices such as a pen drive frequently to transfer your confidential data, then you could select to install a free program it. By this, you could get plus-point of this tool to delete the data permanently. This is a great “Shredder” application which executes many data overwriting processes with your files previous to removing them from your system. Due to this, your confidential and sensitive data gets disappeared and shredded entirely. 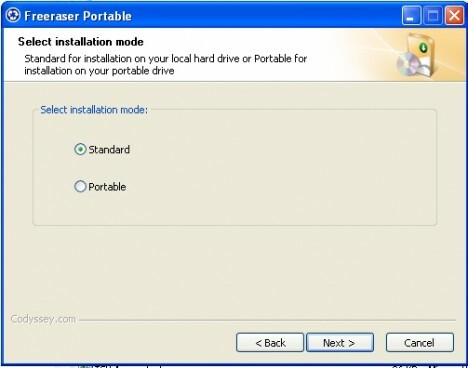 It will prompt you to select the installation mode during the installation process. You could choose Standard or Portable installation mode. After completing the installation process, a trash bin will be located on the desktop for temporary use. You could easily adjust and resize the transparency according to your own preference. To do so, just right click and open the shortcut menu. Simply, by dragging and dropping the particular file into trash bin will result into the deletion of that file. A warning notice will be prompted in which you have to confirm and then your data will be deleted permanently. 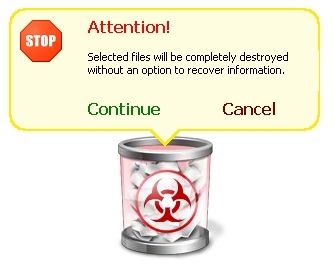 After placing the specific file in the trash bin, the specific data file will be removed permanently. Freeraser gives three demolition styles with which you could select your preferred way for removal process. • An eventual destruction (Guttman algorithm is used for 35 rounds of filling data). Depending upon the confidentiality and sensitivity of the particular data, you are totally free to choose your preferred destruction style.